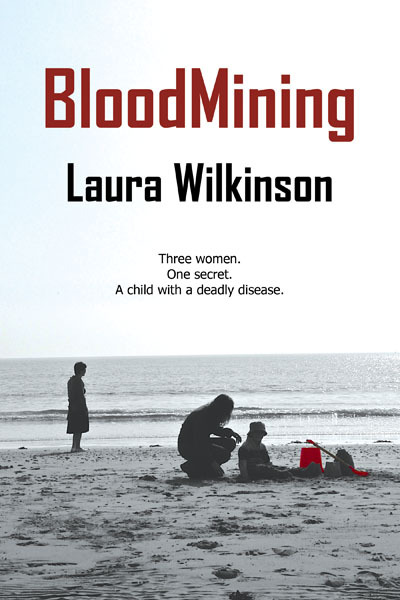 The Tuesday Interview: Laura Wilkinson Author of ‘Bloodmining’. In March earlier this year I had the pleasure of interviewing Laura Wilkinson, mum to two boys for my mother writer series. 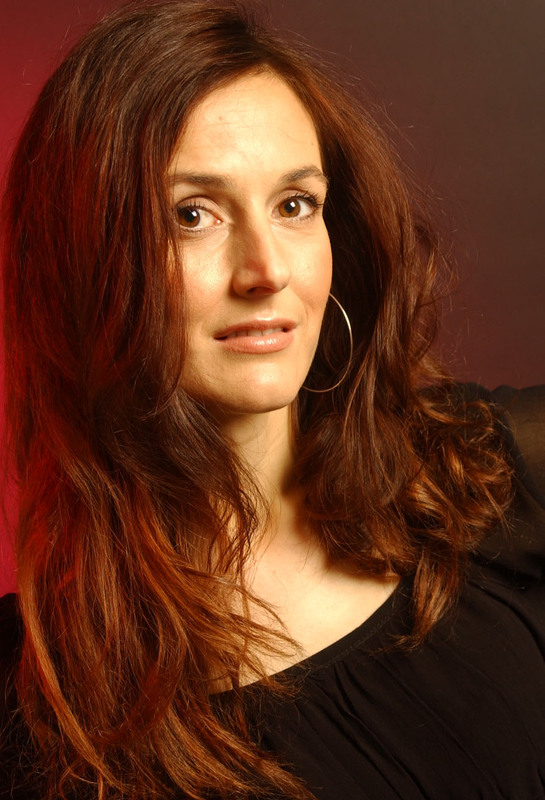 In November 2010, Laura, who grew up in a Welsh market town and currently lives in Brighton won the debut novel competition run by independent publishers Bridgehouse with her novel Bloodmining. Bloodmining was launched last month and has been very well received. I ask Laura to tell me more about the novel and her experience of writing it. Can you give us an idea of the story of BloodMining? Certainly. Primarily set in Wales in the not-too-distant future, it’s about a mother, Megan, whose son is diagnosed with a terminal, hereditary condition. A condition passed down the mother’s line. Buried family secrets are revealed during the search for a donor to save his life and Megan finds out that she isn’t who she thought she was. The themes are: what makes a parent – biology or culture – and identity – who we are, where we come from, how important that is to us or not. What gave you the inspiration for BloodMining? It started with a news piece on the BBC website. I couldn’t stop thinking about it and then a fictional character appeared, started talking to me, and the dilemma she faced. I wrote a piece of flash fiction and showed it to my sister Helen, who’s studied for an MA in Creative Writing and like me has worked as a journalist, and we both agreed that it didn’t work as a piece of flash, but as the germ of an idea for something much bigger it was quite a good one. It’s a very unique story. How much would you say your own background fed into the novel? Very little. I’m a mother myself, but thankfully I have two healthy boys; to be faced with Megan’s problem is every parent’s worst nightmare. So, there’s little of my own story in BloodMining. However, it would be fair to say that my life experience influenced the exploration of identity in the novel, and what it means to be a parent. As a child I knew little about my biological father; he died when I was five years old. My memories were scant and somewhat vague, gleaned mostly from photographs and the odd conversation with my mother and grandparents. Always the ‘good’ girl I sensed that to ask too much would be courting trouble. It seemed that to attempt to dig deep upset my maternal grandparents, and to a lesser extent my mother. I was in my teens before I knew the truth about my father. And many years passed before there was a meaningful conversation about him. But after my mother talked about her first husband, my father, and the subsequent letter she wrote to me – a love story, a beautiful eulogy to his memory, and testament to the enduring power of love, through life and death – I felt more complete. Knowing where I came from was more important to me than I had realised. And I wish I’d had the chance to get to know him a little. How did you approach writing the novel? What the story very clear from the start or did you discover new strands as you went along? The simple answer: no! I began with a character clutching a baby and it grew from there. I’m not much of a planner, more of a fly-by-the-seat-of-my-pantser. I knew that there had been a terrible tragedy to get this character to this point, but what it was I had no idea. As I got to know the character, Elizabeth, the catastrophe happened. I discovered it as Elizabeth did, and after this I started wondering about the baby she loved and what kind of person she would grow up to become, and what her relationship with her mother would be like, and I was propelled into the future with a grown up Megan. As for the supporting characters… well, some of them began as instruments of the plot and then morphed into real, three dimensional people in their own right (at least I hope so!) and one of them – Jack – became so important that he transformed into a lead with a story strand of his own. For me, to date, a more organic approach works although I suspect that I have to do a lot more rewriting than those authors who plan. What was the most challenging thing about writing the novel? Completing the first draft, perhaps… to start writing a novel is pretty easy, I think. I know a lot of people who have started. Finishing is another matter entirely. But then again, even once you have your first draft of 100,000 words plus, the job has only just begun – unless you’re Faulkner, who claimed to have written As I Lay Dying in six weeks and not altered a word of it. For most of us, there’s the lengthy task of finding the beating heart of your story, shaping it into something compelling. I wrote numerous drafts of BloodMining. Your novel came to the attention of Bridge House and has recently been published by this small press? Were you surprised that it won their Debut Novel competition? Yes, definitely yes! In the six months before the call from Bridge House I’d been shortlisted in three competitions and had a couple of near misses with agents. So I’d consigned BloodMining to the ‘failed first novel’ drawer and got on with writing my second. How has the launch of the book been? Has it been what you expected or what has surprised you? Amazing really. And wonderful. Having my work out there, knowing that it is being read by people, complete strangers. Becoming published is daunting because it’s a bit like exposing your inner self in public. And it’s little scary because whilst I know that BloodMining will not appeal to everyone, of course I hope that people will enjoy it and get something from it. To answer the second part of your question: I had no expectations, although the response so far has been SO much better than I anticipated. You are a mum of two boys and have managed to fit writing in around motherhood and working. What does this achievement mean to you in terms of how you see yourself as a writer? For years now, about six, I’ve taken the work seriously. I’m disciplined and I work hard at the craft. Of course, I’m still learning and I hope I never stop, but having my first novel published has given me some confidence, though I recognise that I’ve been incredibly lucky too. It has vindicated the hours and hours and hours I spend writing, when I could have been cleaning or cooking or hanging out with my kids more. Where do you see things going from here writing wise? In all honesty? I have no idea. I’ve completed my second novel and I’m about to send that out into the world. I’d like to attract an agent if possible, though it’s tough out there at the moment. Not that it’s ever been easy. And I’ll keep writing. The loose idea for my third novel is there; I’m spending time getting to know the characters, and in the New Year I aim to dive right in. As I said, I’m not much of a planner – I prefer to find things out as my characters do. Where can we buy Bloodmining? 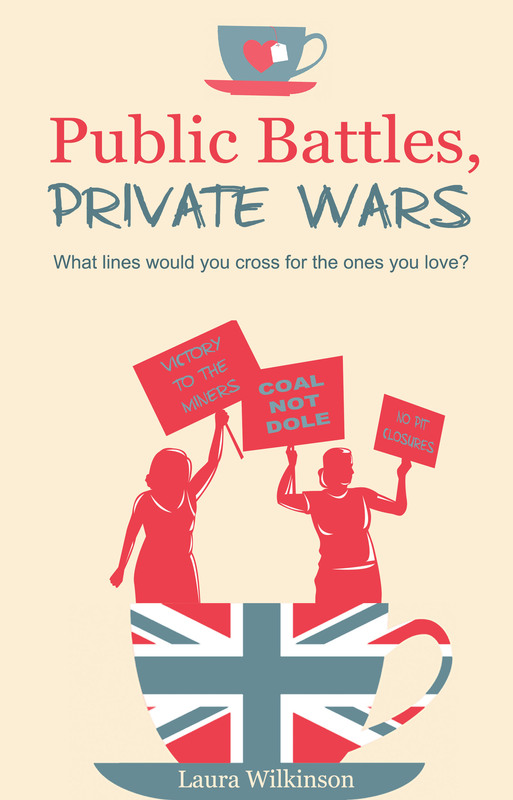 Online at Bridgehouse, Amazon, Waterstone’s, WH Smith, the Book Depository and many other virtual stores. It is also available in ‘real’ bookshops, though distribution isn’t widespread. 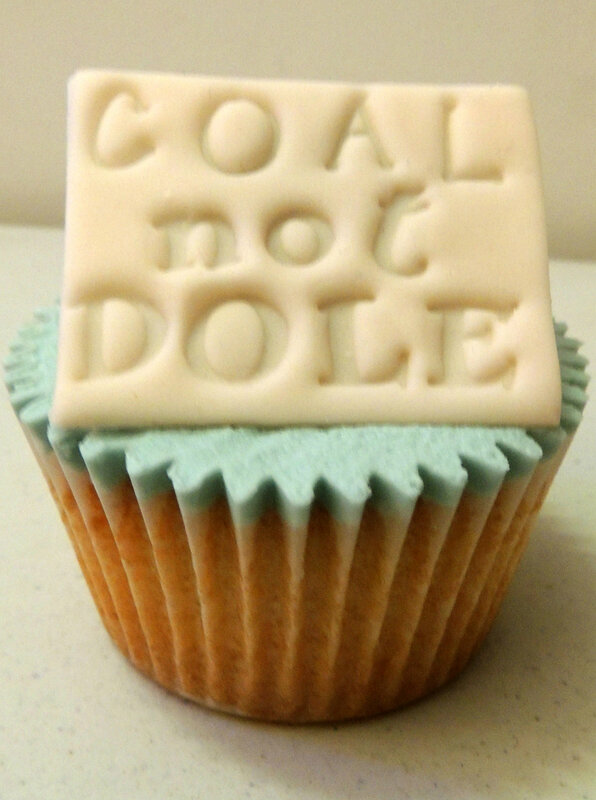 You may have to order it if you want to support your local independent store. Congratulations to Laura on the publication of her debut novel and thank you for a fascinating and inspiring interview. All the best to Laura in her continuing success as an author. Find out more about Laura and Bloodmining on her website.